Wheelchair Carriers add convenience to your travels with the unique ability to attach your wheelchair to your vehicle. 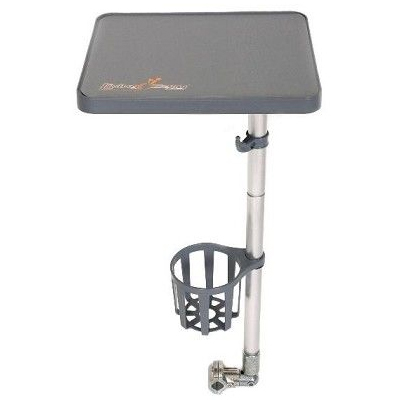 You can easily transport your wheelchair with the help of a strong and sturdy wheelchair carrier. Now ride comfortably with your family by choosing the right wheelchair carrier from our cost effective selection. Sportaid brings you a high quality collection of wheelchair carriers keeping in mind your unique individual requirement. Our affordable wheelchair carriers offer ease of operation thus, giving you an opportunity to enjoy your freedom. Our premium inventory of Wheelchair Carriers includes Wheelchair Luggage Carriers, and the ezEnabler Portable Wheelchair Tray. We also offer quality Wheelchair Backpacks so that meet your sense of style. So choose the right travel accessories that suit your needs and carry your personal belongings with you to move freely and comfortably. To ensure a smooth and safe journey, browse through our hand selected line up of Wheelchair Carrier or feel free to call 1-800-743-7203 for expert assistance. Enjoy your travels like never before with Wheelchair Carriers from Sportaid. Save as much as 52% on your Wheelchair Carrier at Sportaid! If you are new to Sportaid, do not fret; you will receive the same satisfaction guarantee we offer customers who have been shopping here for years. After over 25 years in the business helping people find Wheelchair Carriers at the lowest prices, we continue to lead the industry! 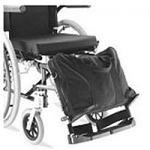 We carry a varied assortment of wheelchair cushions, wheelchair parts, and wheelchair accessories. We are capable of beating any competitor's advertised price, just call! Our customer service staff has over 50 years of experience, plus over 90 years of combined wheelchair use experience. We look forward to working with you!